Mr. Park founded the firm in 2006 after years of experience at sophisticated U.S. law firms. 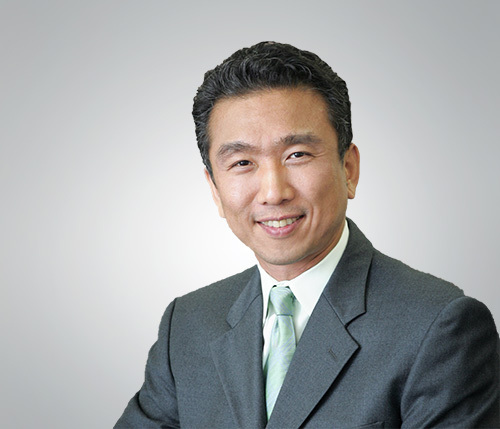 He began his career in 1989 as an attorney at CJ International Law Office, which is now Lee & Ko (Kwangjang). Mr. Park has practiced law for more than eighteen years domestically and internationally. He has been involved in major utility patent litigation, including Markman hearings, bench and jury trials. His litigation experience primarily covers electronic devices and technologies, spanning from dynamic random access memory, flash memory, liquid crystal displays, ASIC, semiconductor manufacturing equipment, interactive TV and multimedia. Most of his litigation experience has been in fast-track venues, including the International Trade Commission and Eastern District of Virginia. His prosecution experience includes portfolio development and management for well-known US and Asian based companies in a diverse area of technologies, including, digital camera, e-commerce/Internet, electronic displays and associated equipment and processes, semi-conductors, and software. - Liquid crystal display, including thin film transistor, birefringence effect of liquid crystal display, driving circuitry, low temperature polycrystalline silicon, brightness enhancement, wide viewing angle, and liquid crystal display module technologies, etc. - Plasma display panel (PDP), including driving circuitry, discharge mechanism, cell structures and energy recovery circuit, etc. - Organic LED (OLED), including thin film transistor, driving circuitry, cell structures, and organic electro-luminescent material, etc. - Optical camera, digital camera and semiconductor manufacturing equipment, etc. © 2006 HCPA. All Rights Reserved.